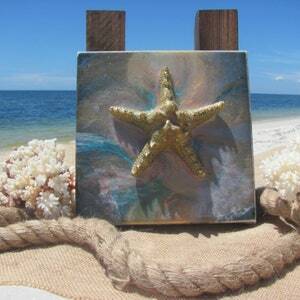 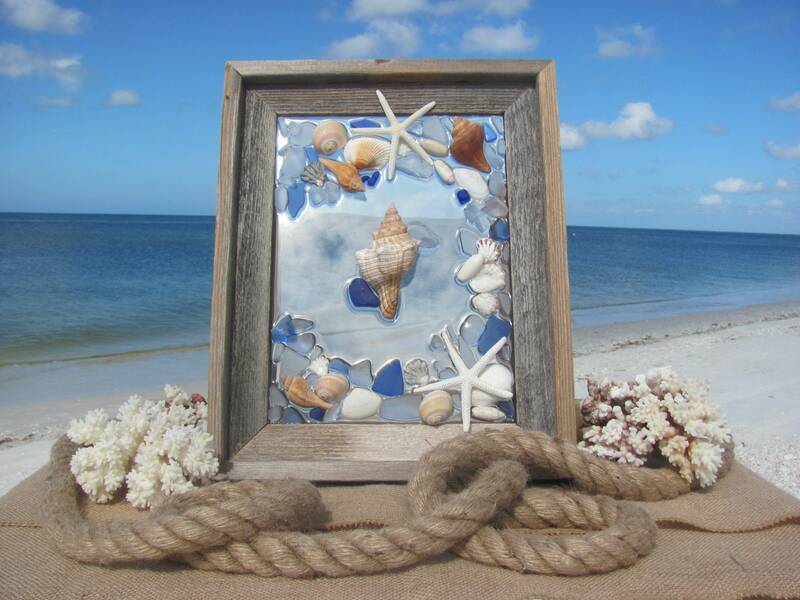 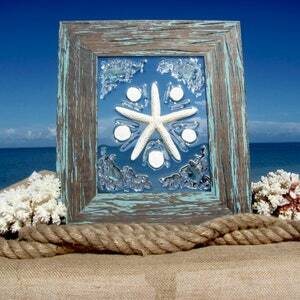 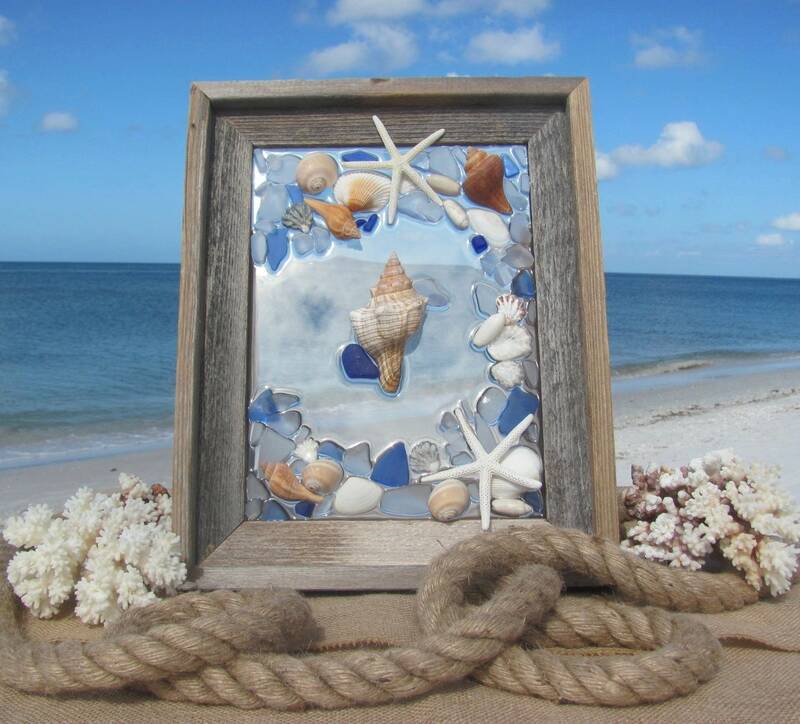 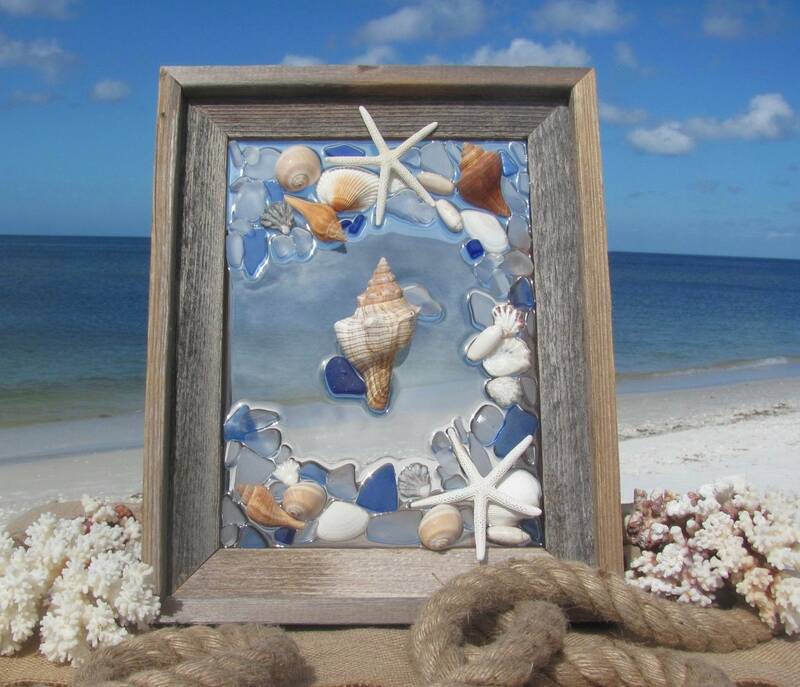 Sea Glass Wall Art, Beach Glass Art with Shells and Starfish, Beach House Decor, Barn Wood Frame, Hardware Incl., 9x12"
Sea glass wall art or window hanging with starfish, large striped conch, cockle shells, and miscellaneous shells from Florida from our many beach combing trips. 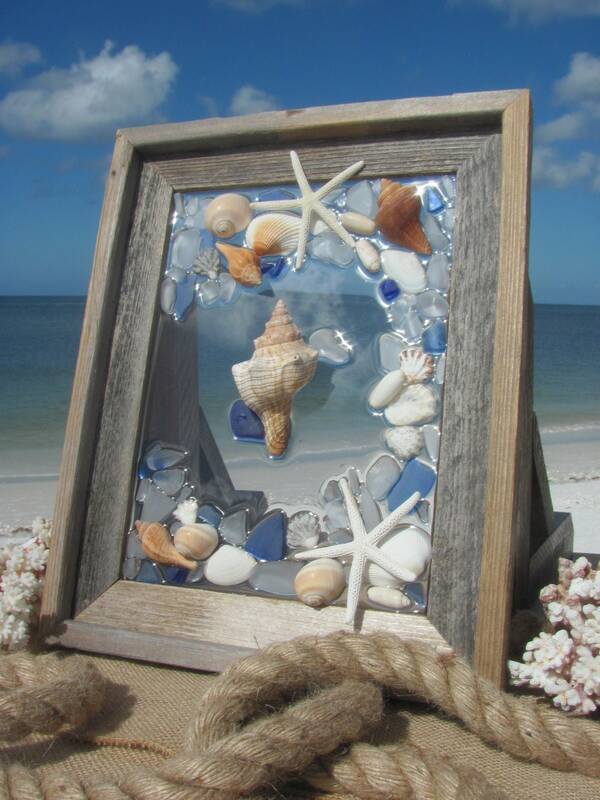 Rustic barn wood frame with hardware included. 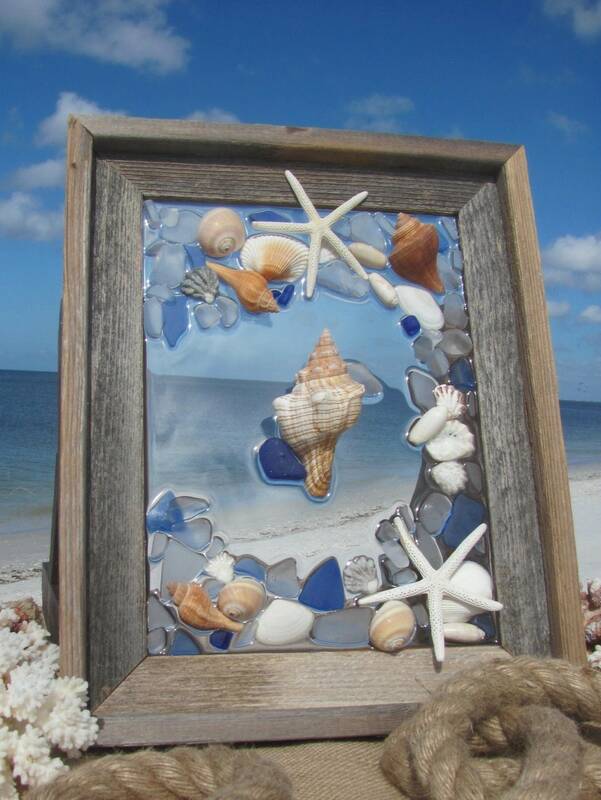 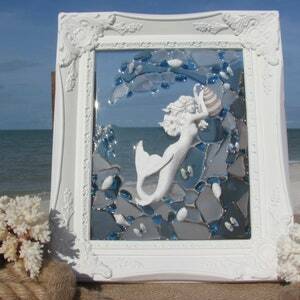 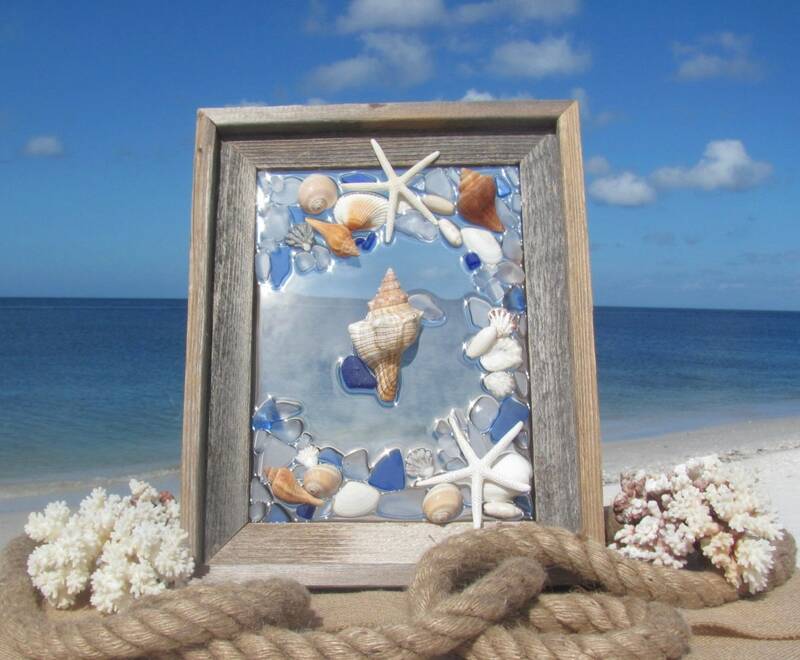 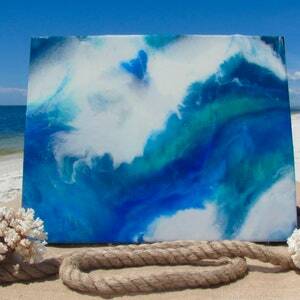 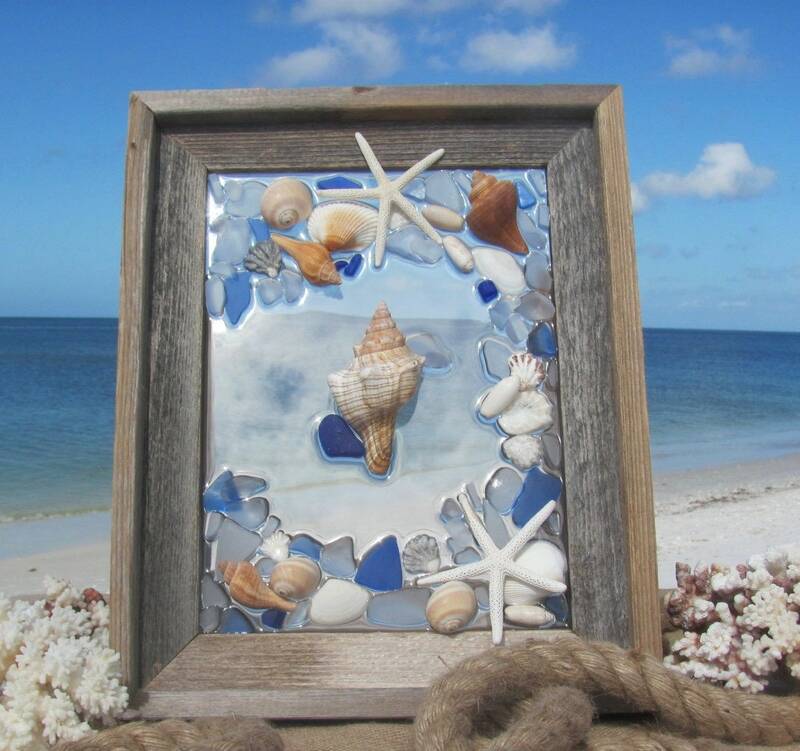 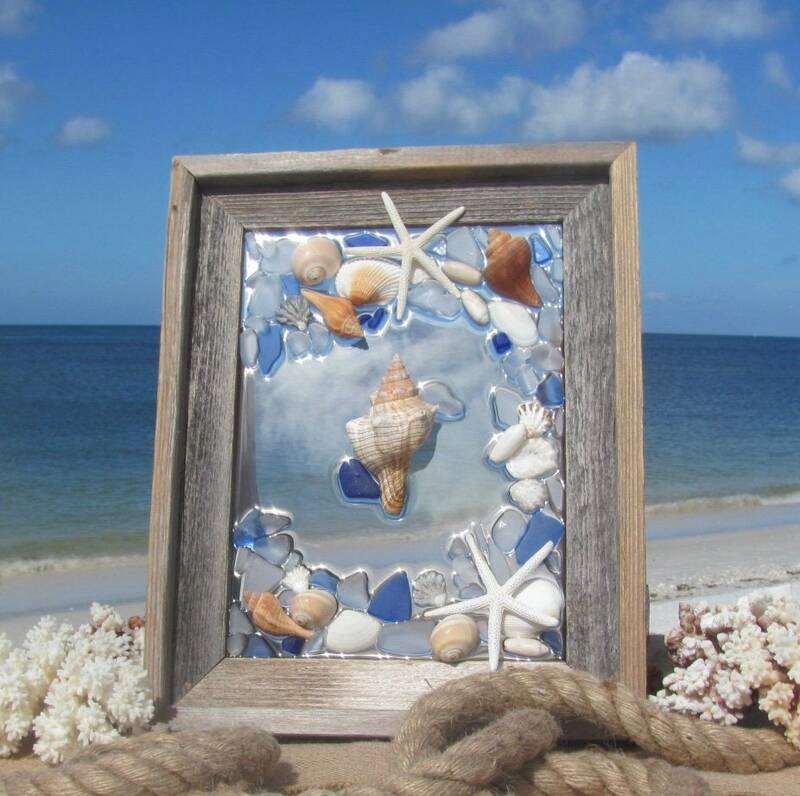 Beautiful beach glass in shades of ocean aqua blues, surrounding a large striped conch, starfish, and shells fused (not glued) onto glass panel. 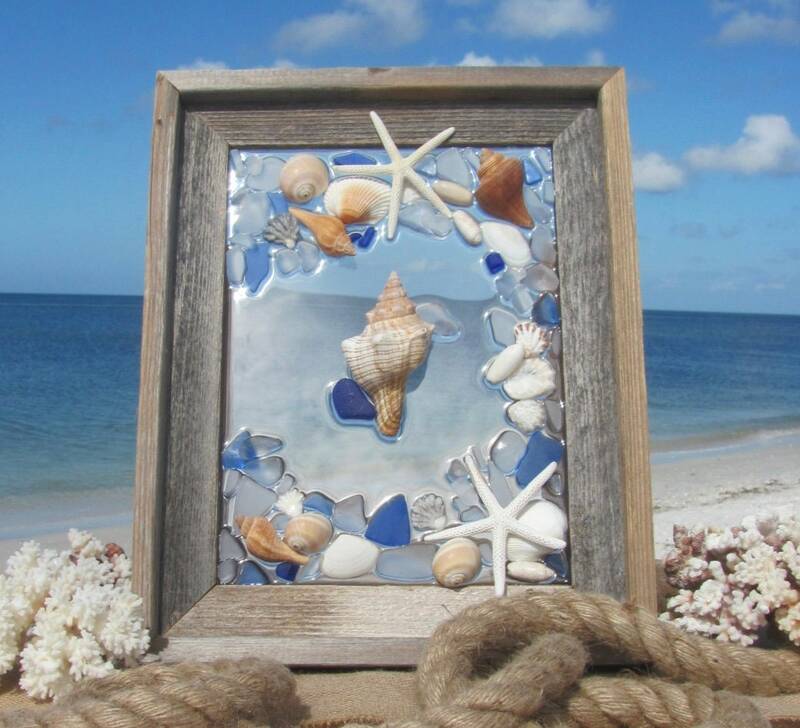 Barnwood frame, inner dimension 9x12", outer dimension 12x15"